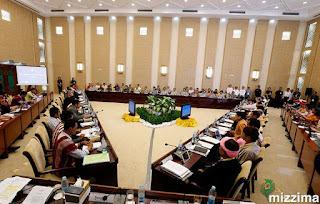 This time, as readers who keep track of the country will know, I was there for the Union Peace Conference #3, according to the Nationwide Ceasefire Agreement, or the Union Peace Conference 21st Century Panglong (UPC 21CP) #2, according to the government in office. This UPC#3 is a marked improvement from the previous two in that while the two were spent in reading papers from each participant, this time the participants, for the first time, were doing serious negotiations in order to push their counterparts into acceptance. Naturally, lots of complaints have been made on how the conference was convened by both sides meaning the government-military bloc and the Ethnic Armed Organization (EAOs). Reading through the few pages here, I’m sure readers will find there’s plenty of room for improvement during the coming months, so that the peace process doesn’t end up on a garbage heap after UPC # 4 or, for those who prefer, UPC 21 CP#3. Day One, Tuesday, 23 May 2017. Today, with my son as my assistant, I fly from Chiangmai to Mingladon, and from Mingladon to Naypyitaw. I have to wait for 4 hours before the transit, but there's a booklet putting together several research papers produced by the Tai Society for Historical Studies to keep me company. Later two friends arrive who are to be my flight mates to Naypyitaw. We are given a room, #419, at the Thingaha, together with a separate minibus and driver throughout our attendance. Actually, accommodations at the hotel are also reserved for all top leaders of each EAO. However, leaders of the Restoration Council of Shan State/Shan State Army (RCSS/SSA), I learned, have chosen to remain with their 20 + members of the delegation at the SEA game village, where water and power are said to be unending problems for hundreds of delegates. Intimacy is very important. It brings trust which in turn brings forth good results in the negotiations. 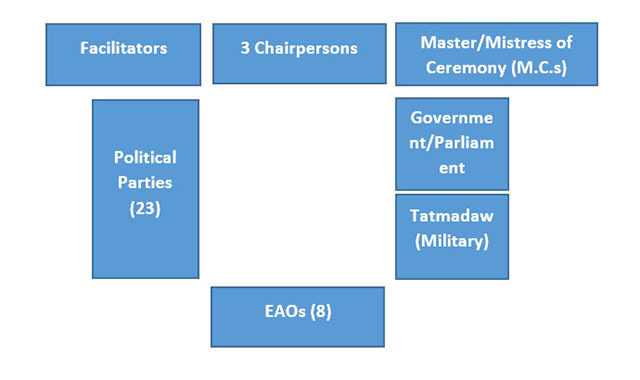 Less than half of the country’s ethnic armed organizations are currently included in the NCA, which represents approximately only 20% of their combined troop numbers, without the non-signatories, the potential of the country’s political dialogue process to achieve a Union Accord will remain limited. There shall be no pressure or coercion to force acceptance (of our demands). · NCA does not force one to yield its arms. Please consult Chapter 1 of the NCA. · Ethnic-based, local-based and topic based national political dialogues (NDs) should be encouraged to hold throughout the country. Hasty undertakings will not solve problems. The morning session ends with group photo takings, followed by lunch. · According to the rules, all proposals from stakeholders must be submitted to the Working Committees (WCs). But we have heard that some proposals were directly presented to the UPDJC (which is above WCs). · Some seem to be holding the false impression that we are out for secession. Let us show them we are not that hare-brained. International and Myanmar’s own experience suggests that military pressure is counterproductive to bring non-signatories in to a peace process. The question then is what new strategies and priorities might? 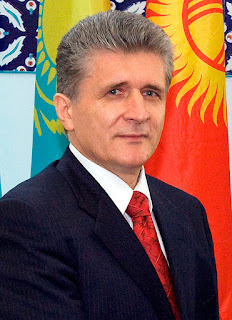 The second day of the conference starts with a one-hour meeting, 07:30-08:30, 8 EAO top leaders with Mr Miroslav Jenca of Slovakia, UN Assistant Secretary General for Political Affairs. · We have made progress, but we need more time and effort. Many more EAOs not on board. · UN has been involved in Burma’s peace process before it even started: Calling for a tripartite dialogue in 1994. Witness to the NCA signing in 2015. Setting up UN special envoy office in the country to observe and assist in peace process. · The country, being in a key geopolitical location, UN’s presence is needed. China, as a rule, objects to western nations’ involvement in the country’s peace process. But it is okay to UN involvement. · The presence of UN special envoy came about through request by the EAOs and concurrence by the government. The decision to discontinue its presence should be made only after consulting the EAOs. · The word “never to secede” may be unintentionally damaging to the Three Main National Causes. It goes against Panglong. It goes against what Gen Aung San had agreed. · The word “never to secede” poses as obstruction to national unity. The day at the conference ends with 12 rounds of discussions. But it continues further into the PPST daily briefing, 19:00-21:30. · In principle, we can accept non-secession. But these words are unacceptable. The meeting puts off decision to the next evening. Day Four. Friday, 26 May 2017. From global experience, higher rates of pace agreement implementation is highly beneficial. On average, if comprehensive peace agreements are negotiated and implemented at a rate of 75%, on average 80% of non-signatories join the process within a year. The session decides to defer the decision to the UPDJC which meets in the afternoon today and all day tomorrow, before the closing ceremony the day after. No part of the territory constituted in the Union shall ever secede from the Union. The decision is to allow the EAOs’ UPDJC members, led by Dr Lian Hmung Sakhong, to negotiate for a clause which in essence may carry the same meaning, but in different words that will elicit positive responses from all EAOs. Faltering implementation cannot simply be blamed on a lack of political will. International experience highlights that vagaries in text often cause confusion or otherwise problematize the implementation phase. Today is supposed to be my day of rest, as the UPDJC is supposed to meet and negotiate for the outcome which is to be announced tomorrow at the closing ceremony. All morning I’m out at the Buddha Gaya replica outside the city, to see if I could be persuaded to visit the real one in India. However, at the end of it, I remain undecided about it. On my way back to the hotel, after a delicious Shan lunch at Mao Kham Noom restaurant, I’m told to accompany the PPST leaders for a hitherto unplanned meeting with the State Counselor. SC: So, what have you gentlemen got to tell me? SC: Okay, then. What have you got to say? PPST: First, the word ‘not to secede’ is very uncivil. Technically, it’s not different from ‘to live together forever’, but politically, it will create more problems. Imagine a man and a woman getting married. They will say to each other: I will take care of you for the rest of my life, and such. They will never say “You shall never divorce me,” because once it’s said, it will amount to the end of their marriage, before it has even properly started. Secondly, if there is continued disagreement whether or not to use it, to give us time to consult among each group, among the 8 EAOs and the people. PPST- At President Thein Sein’s time, the policy was “apart from secession (and non-secession) everything is on the table”. The issue ‘not to secede’ came up only this month. PPST- We have made progress this time under the State Counselor’s leadership. Couldn’t we keep it as a ‘collection of opinions’ to be discussed again later? Since the government and Tatmadaw want the promise ‘not to secede’ in exchange for the Right of Self Determination, could we put it this way. “As long as the principles of Equality, Right of Self Determination, Democracy and Federalism are honored, there shall be no secession”? To this, the government and the military representatives think it is something to think about and the meeting is adjourned. It is also announced that the conference has another day extension, to be wound up on 29 May instead of 28 May. Of the 31 comprehensive peace agreements negotiated globally since 1989, every additional 1 percent of implementation corresponded to a 6% increase in peace duration. To use more tangible numbers, a peace agreement that was implemented at 40% might last for 10 years. The same agreement, if implemented at 80%, would on average prevent a return to armed conflict for 25 years. · Both sides then agreed to defer it to the next UPC. 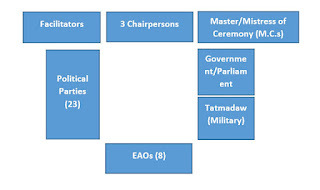 The PPST, or what is left of it, because Gen Mutu and Gen Moshay had left in the morning, then consider the question: whether the points agreed should be signed as ‘part of the Union Accord’ or as a ‘collection of opinions.’ The consensus is to sign it as a “collection,” in order to consult afterward with all EAO stakeholders, both NCA signatories and non-signatories. I return to the old capital in the evening, as my return ticket to Chiangmai has been fixed for tomorrow. In so doing, I miss all the fun that follows. One average, when comprehensive peace agreements are fully implemented, a country’s foreign investment doubles over a decade, while gross domestic product increases by 5%. This translates to more employment opportunities and improved livelihoods for people. · The NCA, as well as the Framework for Political Dialogue (FPD), must be reviewed, to remove all the confusion and different interpretations. It is just as well, I agree. Because I know some of my friends who have been involved in the peace process since 2011 are facing trouble renewing their visas. Take everything the other side is ready to give. Value it. Make use of it. And continue to negotiate for those that are yet to be agreed. He also makes sense, doesn’t he?